Today we are going to talk you through the disciplines you need to become the best fighter on the planet. The obvious place to start is on your feet as that’s how every match starts. Whether it’s Boxing, Kickboxing or Muay Thai, you need to do something. Boxing has always been one of the biggest sports in the world for a reason. But we are talking about MMA now and as I’m sure you have all seen for yourselves, knees and kicks can do so much more than just knock a guy out. Just like in Bellator 158 when Micheal “Venom” Page landed a vicious knee on Evangelista ‘Cyborg’ Santos. He actually broke his skull during that fight. Or when Edson Barboza’s hit Terry Etim with a spinning back kick at UFC 142 in Rio De Janeiro. One of the worst knockouts in UFC history. Kickboxing and Muay Thai will not just make you a better fighter. Training in them will also help you defend yourself a lot better as you will be able to see moves coming earlier if you are familiar with them. Whether it’s the way the guy drops his arm as he goes for the kick. Or how he goes to his toes before he jumps for that flying knee. Either of these disciplines will benefit you greatly. You can be the best guy in the world on your feet but if you haven’t got anything else about your game then I wouldn’t advise getting into the octagon. Just like with James Toney when he stepped into the ring at UFC 118 to fight against Randy Couture. Couture whose background is in wrestling, made it look easy. He might not be known for his ground game but he still schooled Toney. 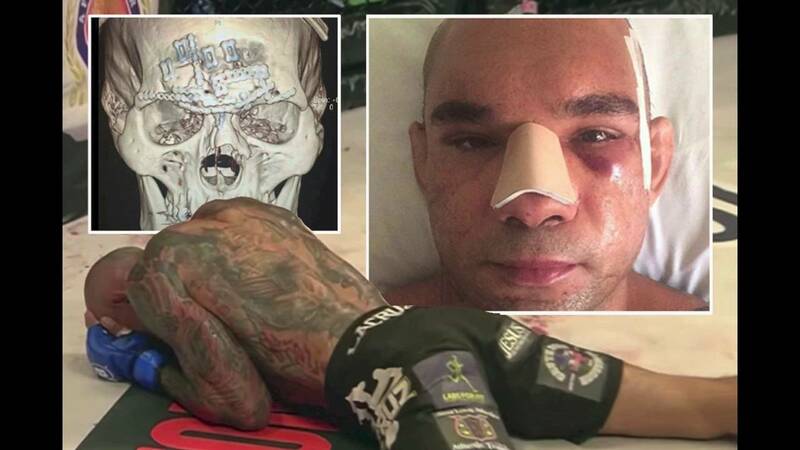 And sent out a pretty clear statement that the next Boxer who wants an MMA fight might want to think again. August 28, 2010; Boston, MA; USA; Randy Couture (black trunks) and James Toney fight at UFC 118 in Boston, MA. Couture won via 1st round choke. Just like Toney, Royce Gracie is another fighter who relied too heavily on one discipline. Known for being one of the best BJJ guys in the world. The legend was caught out and defeated by Matt Hughes at UFC 60. 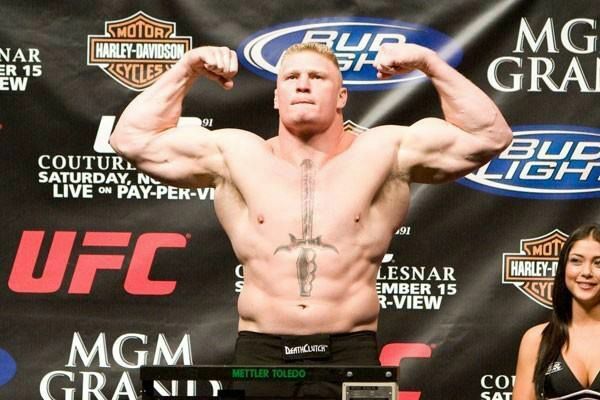 Although former UFC Champion Royce was one of the best on the ground in the world. It doesn’t count for much if you can’t get the other guy down on the floor to tap them out. Hughes demonstrated this perfectly. With a background in wrestling. Hughes stopped Royce getting him down and showed him just why you need to be an all-rounded fighter to make it in this world. Although Royce did struggle in that fight he did have a pretty impressive career, with 15 wins and only 2 losses and he was a UFC Champion. Which demonstrates why BJJ is so essential and arguably the most important skill that you should have in your arsenal. Brazilain Jiu-Jitsu seems to be the most overlooked aspect of many fighters game. This may be as it takes so long to achieve your black belt. 10 years for a BJJ black belt as opposed to less than 5 for Judo and Karate belts. No matter what the reason some people decide not to train grappling as much as other aspects it doesn’t really matter. Nearly all fights end up on the ground. And if you don’t know what you are doing, you can’t defend yourself and you won’t last long. 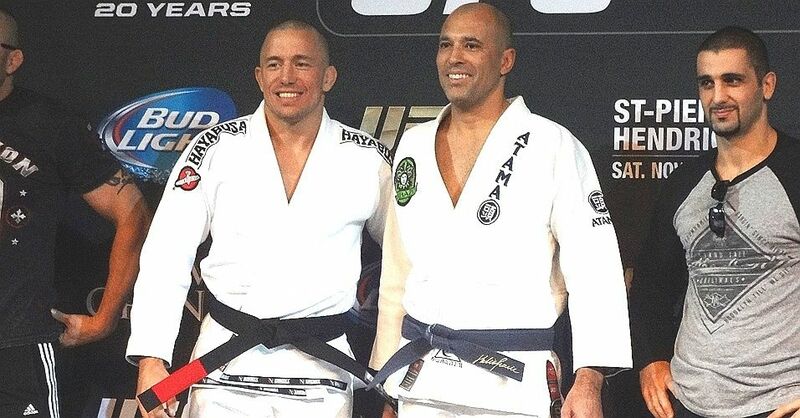 One of the reasons that GSP was so dominant and another UFC Champion. Here he is pictured with Royce just after they had finished training. As I’m sure all of you know, lifting weights make you stronger and although just being strong alone won’t help you at all against a trained fighter, it will work wonders in addition to all of your other training. We have all been in that situation where you have gotten someone into a move and it’s so close but you just haven’t got the strength to finish it off. Lifting will help here. And with your takedowns. And with your punching. And in everything else that you do. So we have given you some pretty solid advice here today, so no matter if you are a complete beginner or have been training for years. You just want to get in shape or you really do want to become the best fighter in the world, this guide has given you a solid foundation to work off. So what are you waiting for, get out there and start training to become the next UFC Champion! This entry was posted in News and tagged Bellator, Bellator 158, BJJ, black belt, Boxing, Brock Lesnar, Cyborg Santos, Edson Barboza, Evangelista 'Cyborg' Santos, Georges St-Pierre, Ground Work, GSP, Hayabusa, James Toney, KickBoxing, Micheal "Venom" Page, Micheal Page, MMA, Muay Thai, Randy Couture, Royce Gracie, spinning back kick, Terry Etim, UFC, UFC 118, UFC 142, UFC Champion, Ultimate Fighter, Wrestling on 6.07.2018 by MMAFightwear.